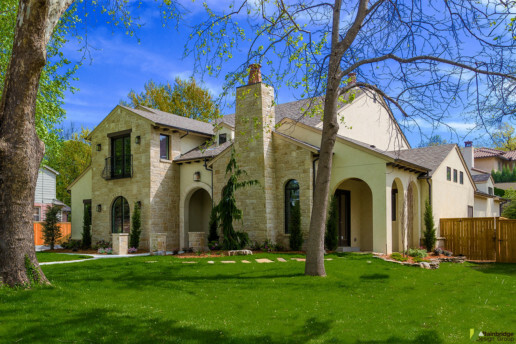 One great focal point on this Spanish Colonial is the prominent stone chimney on the front of the house. 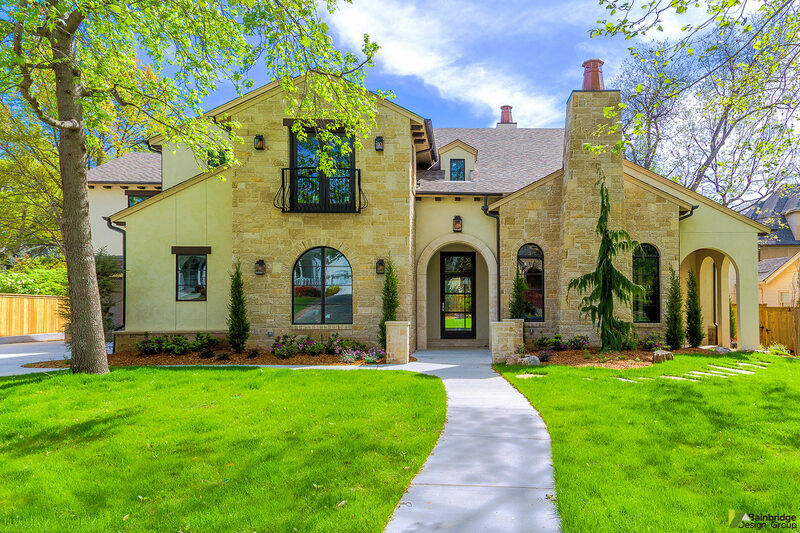 The arched entry with cast stone surround is another notable detail that adds an authentic air to the design. Arched windows, transoms, and openings on the covered porch all combine to add continuity to the appearance of the home.